North Dakota Foundation Seedstocks (NDFSS) Project at NDSU is a self-supported program. 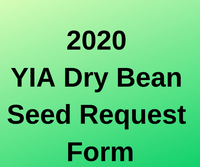 Funds are derived from charges placed on distributed seed. These funds not only provide for the director’s office and staff at NDSU, Fargo, but also provide financial assets back to the Agronomy Seed Farm and RECs to support infrastructure and activities. Foundation seed increase activity involves approximately 60 cultivars and pre-released advanced lines of about 12 crops each year. Carry-over inventory is maintained for varieties with limited demand with production occurring as necessary. Total foundation seed inventory available for distribution is in excess of 50 varieties. The NDFSS Project also provides for the increase of experimental advanced lines with the potential for release, maintains seed of over 500 inbred sunflower lines for distribution, and provides for the distribution of grasses and forbs from the USDA NRCS program located at the Plant Materials Center in Bismarck, ND. NDFSS works closely with North Dakota Crop Improvement and Seed Association (NDCISA) and the County Crop Improvement Associations to provide for a rapid clean genetic increase of newly released varieties. These activities allow ND commodity growers to have quick access to new varieties and the economic advantages they provide. 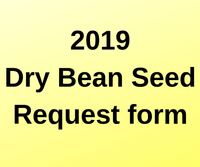 An additional seed production and storage facility is located in Hettinger, ND at the Hettinger Research Extension Center, 701-567-4323.